Snippets of my life-long love for reading. I read almost every genre, but I am especially fond of fantasy and science fiction, and I read and review in English and German. 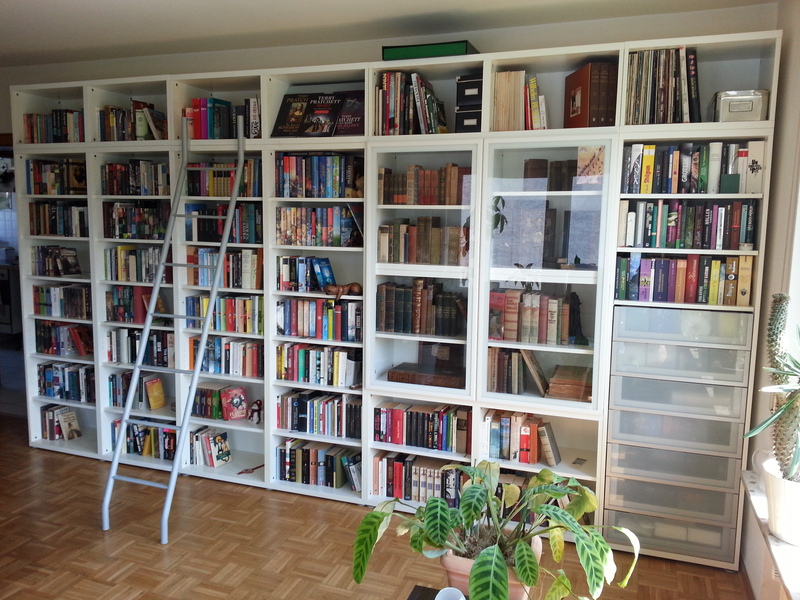 The books are placed in two rows behind each other; it is very useful to have deep shelves when you're a hoarder. They are sorted by author, the most recent ones in the front rows. The shelf on the right contains (part of) my TBR.